This knife has a 2-3/4'' forged sheffield steel blade with polished flat zero grind, retaining some raw-forged finish on the blade sides. 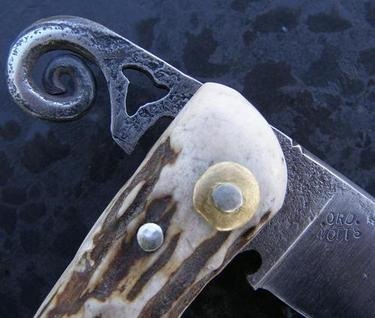 The blade spine is bevelled at 45 degrees to add to the comfort of using this knife. 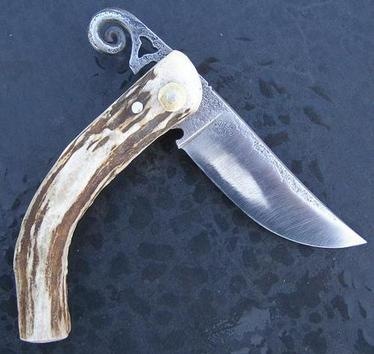 The Roe-Deer antler handle is made so that the 'crown' section of solid bone is used at the hinge for excellent strength.